A mixture of blue, pink and white shades. Great beneath trees in semi-shady, damp locations. Large 5+ grade, pack of 10. 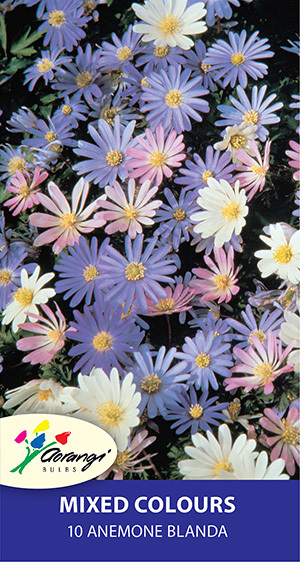 Anemone Blanda can be difficult to germinate and chilling for up to 12 weeks in the home fridge is the best way to break their dormancy. After chilling, soak for 1 hour in tepid water before planting. Keep moist but not wet during growth.